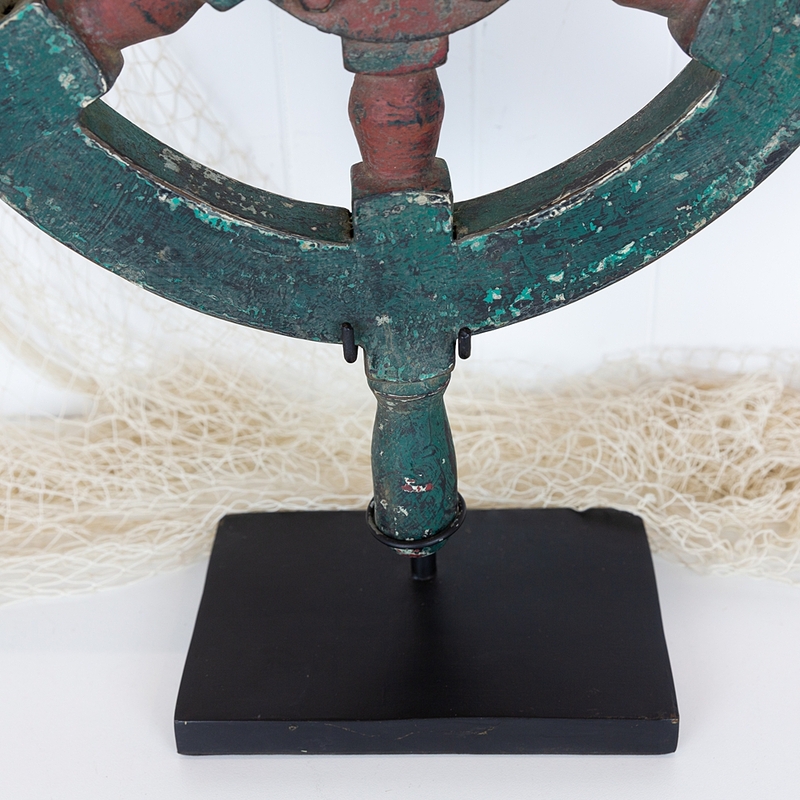 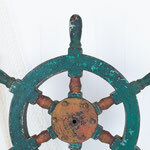 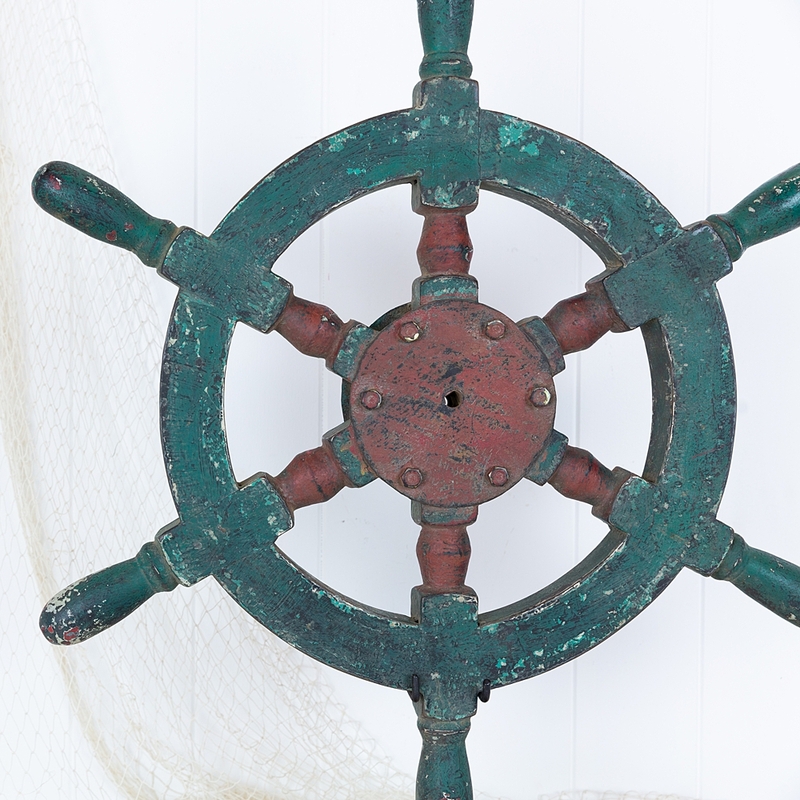 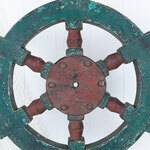 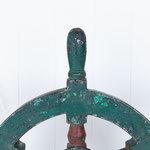 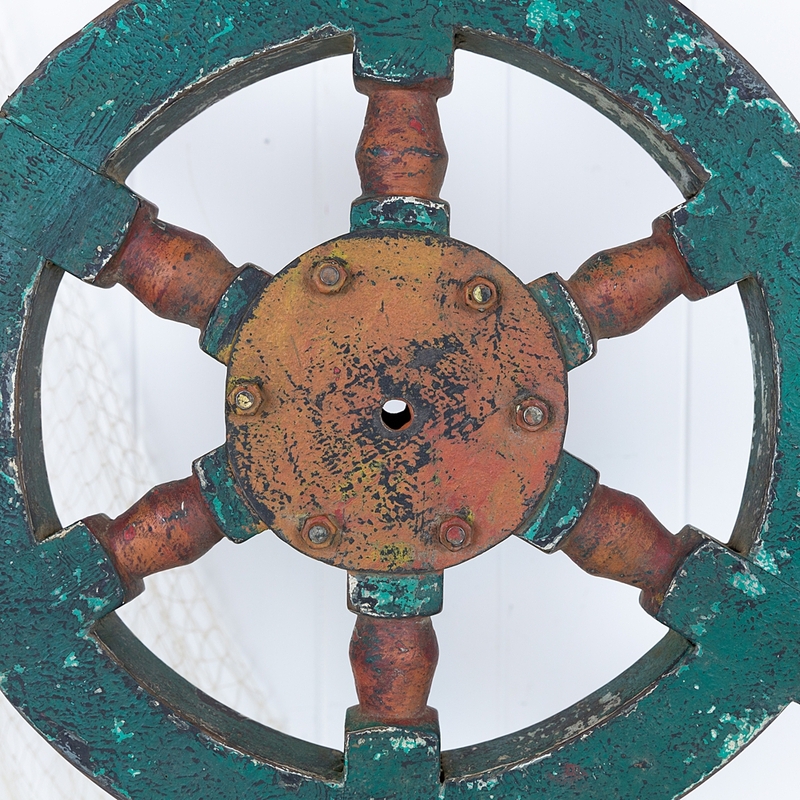 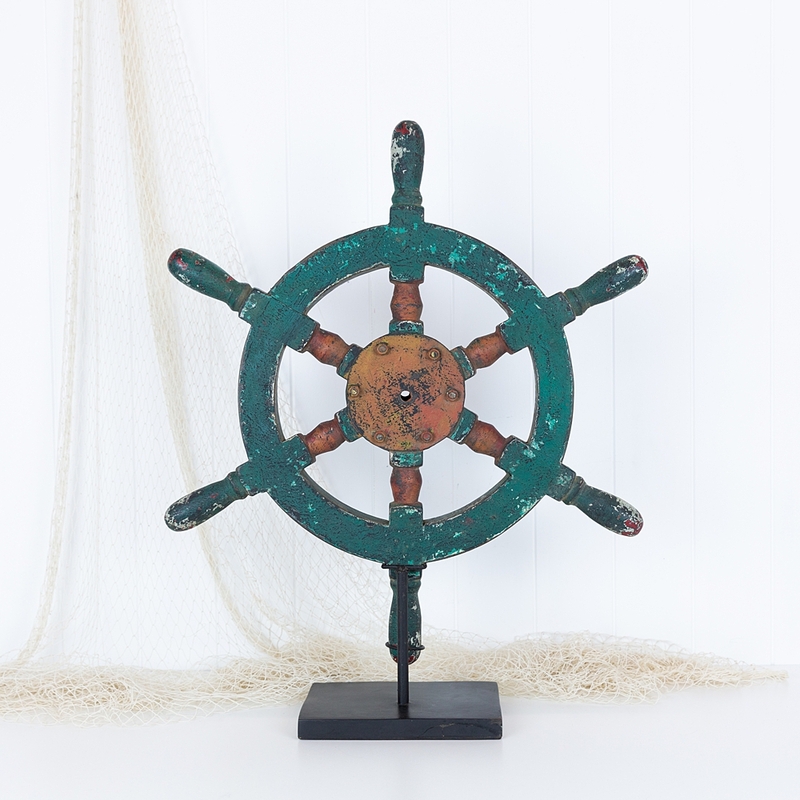 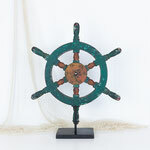 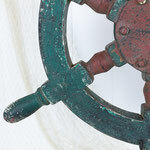 This ship's wheel was found on a recent trip to Indonesia and comes with a custom made stand. Layer over layer of paint give it a wonderful texture and lots of character. 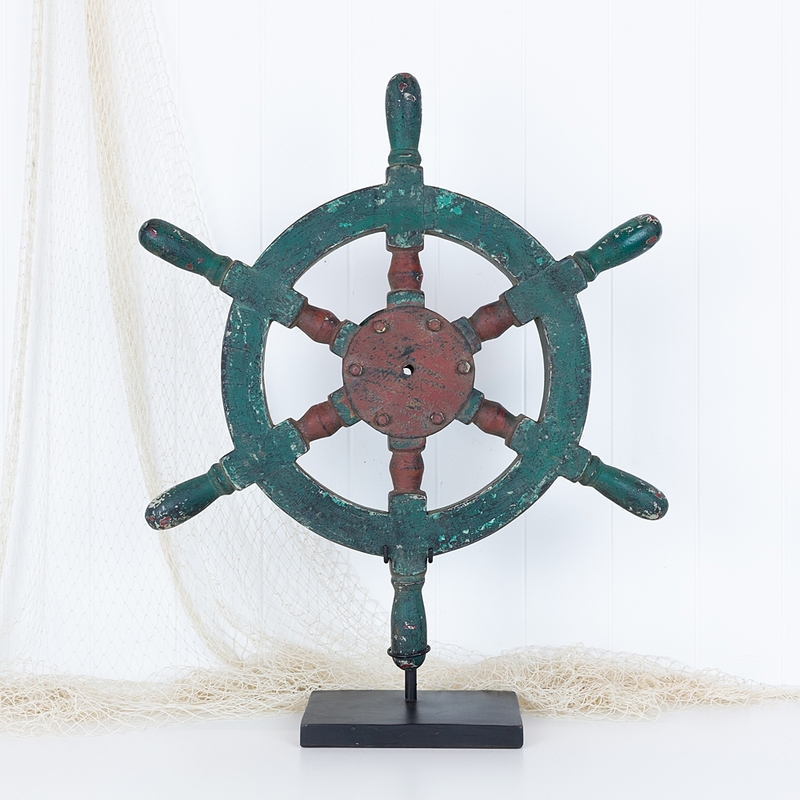 A perfect piece to add a nautical touch! 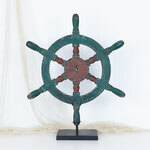 Perfect to display on a bar or side board.